Landstedt: As there's been no cache to find for months, I'm archiving it to keep it from continually showing up in search lists, and to prevent it from blocking other cache placements. If you wish to repair/replace the cache sometime in the future, just contact us (by email), and assuming it meets the guidelines, we'll be happy to unarchive it. 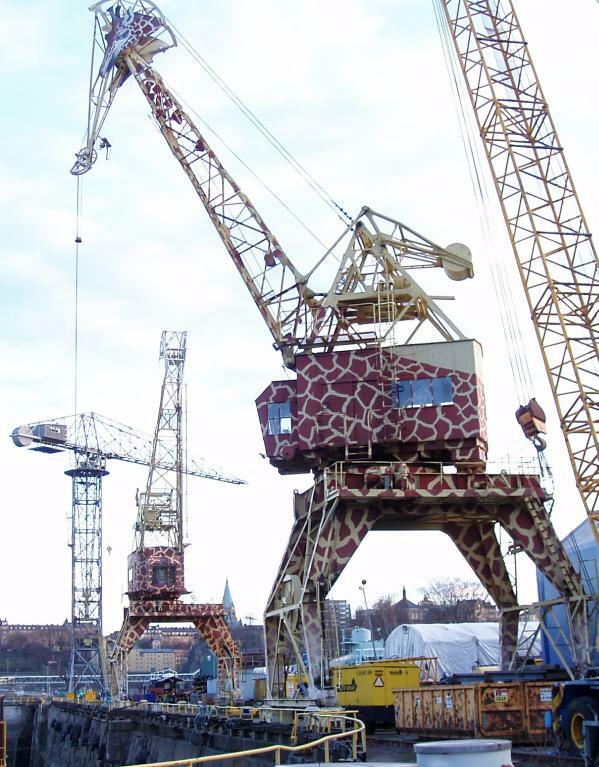 Stockholm giraffes, fully operative - steel coverd with rust and paint. This is a forgotten spot in Stockholm, short walk or drive visiting Djurgården and Gröna Lund, the Cricus or Skansen. Sometimes this place is in full activity, dusty and noicy. Take the opportunity to rest your leggs nearbye at an other cache with a stunning view of the Stockholm harbour.